The village was held by British troops from the summer of 1915 to March, 1918, when it was captured in the German Offensive on the Somme; it was ruined by shell fire even before that date. 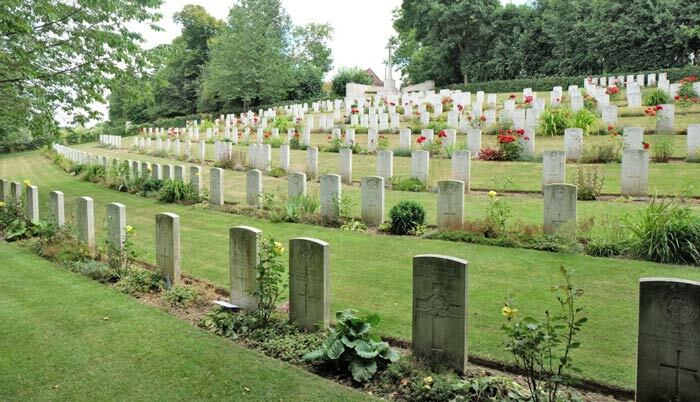 The Military Cemetery was used by Field Ambulances and fighting units from August, 1915 to December, 1916, and in 1917 and 1918 by Indian Labour Companies. There are now over 450, 1914-18 war casualties commemorated in this site. Of these, nearly 40 are unidentified and special memorials are erected to 18 soldiers from the United Kingdom, known or believed to be buried among them. The graves of two other German soldiers have been removed. The cemetery covers an area of 2,650 square metres and is enclosed by a low concrete curb. 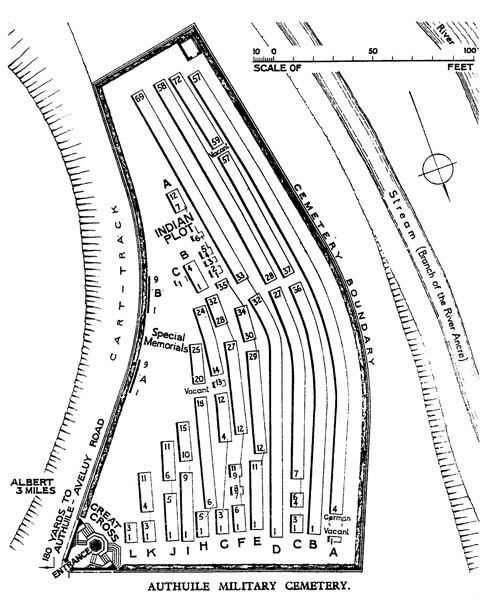 The cemetery was named as Authuile Military Cemetery at the time of creation and C.W.G.C. maintain this as the historic name of the cemetery.